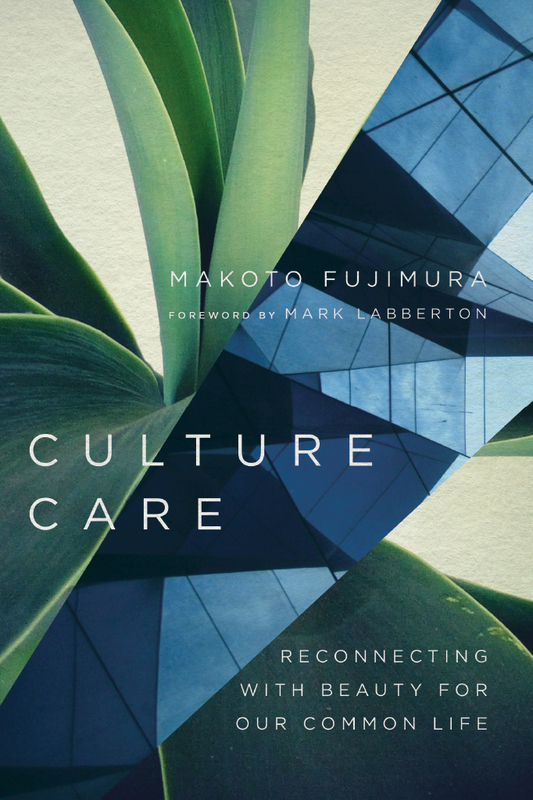 "Only Mako Fujimura could have written this book. It sheds light on a wealth of topics—a classic novel, Japanese culture, Martin Scorsese's filmmaking, the fine arts, theology, the enigmas of East and West—and leaves the reader with a startlingly new encounter with Christ." "Makoto Fujimura is a remarkable artist and writer, and his engagement with the writings of the great Shusaku Endo—and Silence in particular—is deep and impassioned, as you will discover on every page of this book. By way of response to a great artist, Fujimura has created a quietly eloquent meditation on art and faith, and where they converge." "My friend Mako Fujimura is one of the most thoughtful, sensitive and eloquent artists of this generation. Like his otherworldly and luminous paintings, his book Silence and Beauty is at once glorious and profound, an exquisite exploration of truth and beauty, silence and suffering. Give yourself and others the immeasurable gift of this gentle, inspiring treasure." "Fujimura's book is a brilliant blend of investigation and reflection. The reader learns about the compelling history of Christianity in Japan and its strangely enduring influence there, while at the same time being led into a profound meditation on the relation of Christian faith to contemporary culture. A truly impressive achievement." "How can we live in a world where we encounter suffering every day? Where is the voice of God when we doubt his goodness? It takes a very specific perspective to write beautiful prose about these questions, but in this book, Mako does just that—exploring the themes raised by Endo's novel and their continuing resonance across our difficult, anxious times. Silence and Beauty is a gift for us as we try to be the fragrance of Christ in a suffering world." "Fujimura's Silence and Beauty is a truly remarkable spiritual, theological and intellectual autobiography for our time. 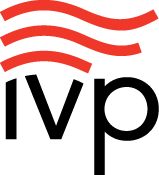 It will be of interest to a broad readership, not least of all those who still hear the disorienting and potentially transformational call to intercultural mission in the way of Jesus. Fujimura's musings on the Christ-hidden culture of Japan, his own story and contemporary culture are revelatory, and his layering of the Ground Zero theme functions like a Rembrandt primer out of which a sublime beauty and grace emerges." "When I read Shusaku Endo's Silence for the first time, I vowed that I would refuse to ever read anything written about it. I wanted to preserve the profound sense of mystery and beauty that the novel evoked in me. I am so happy now that I broke that vow by reading this wonderful book by Makoto Fujimura. Mako not only enhances and deepens the sense of mystery, but—as he has done so consistently in his visual works of art—he adds significantly to the beauty!" "Mako Fujimura offers us a moving and illuminating series of reflections on one of the most powerful novels ever written. He helps us to understand how Endo's tale of martyrdom lives in the tensions between East and West, faith and doubt, trust and betrayal. Above all, Fujimura enables us to sense that grace can live—and inspire new life—even in the midst of suffering." "Silence and Beauty is a classic work of art. The book is a call to the world for reconciliation, understanding, and a depth of intimacy that can heal us and return us to each other and to a humble seeking of God in both the silence and beauty that surround us daily and attend us in the wake of our continual Ground Zeros." "Silence and Beauty is an astounding work, a gift and challenge to all of us as well as a deeply felt love letter to Japan." "Shusaku Endo's novel Silence makes us eyewitnesses to the brutality of Japan's seveneenth-century persecution that forced Christians to choose between silence and death. In his reflection Silence and Beauty, Makoto Fujimura masterfully appropriates that painful history for the challenges Christians face in this time between times—whether it be death in Syria and Iraq or increasing hostility in the West. Fujimura asks us to face our own silences and emerge understanding both the suffering and the beauty that silence calls forth." "Silence and Beauty is a book that must be read to the very last paragraph. It is the highest level of scholarship on Silence and on Japanese cultural theory." "Fujimura . . . unearths universal implications about faith, suffering, and art in this focused literary study of one novel, Shusaku Endo's Silence. . . . Fujimura analyzes Japan?s fumi-e culture, calling it 'a culture of lament,' and asserts that 'faith can include our failures, even multiple failures.' Stories of historical figures on which Endo based Silence, scriptural analysis, and a wide range of literary and artistic references from both Japanese and Western culture (including Martin Scorsese?s 2016 film adaptation of Silence) add rich, refracted layers to this carefully crafted, masterful book." "Makoto Fujimura's Silence and Beauty (IVP, 2016) artfully probes Shusaku Endo's famous novel Silence, and in doing so shows how God's truth bores through silence and darkness." "This year marks both the 50th birthday of Shusaku Endo's novel Silence and release of Martin Scorsese's film about this story of martyrs. Artist Makoto Fujimura used this to pen one of the most elegant nonfiction books in recent memory. We enter the world of Silence, and cannot help but be transformed by the beauty and suffering of those who have gone before." "Fumi-e, for Fujimura, encapsulate the soul and struggle of modern Japan. The author paints a vivid portrait of Japanese cultural identity, especially Japanese concepts of beauty exemplified by hiddenness and silence. 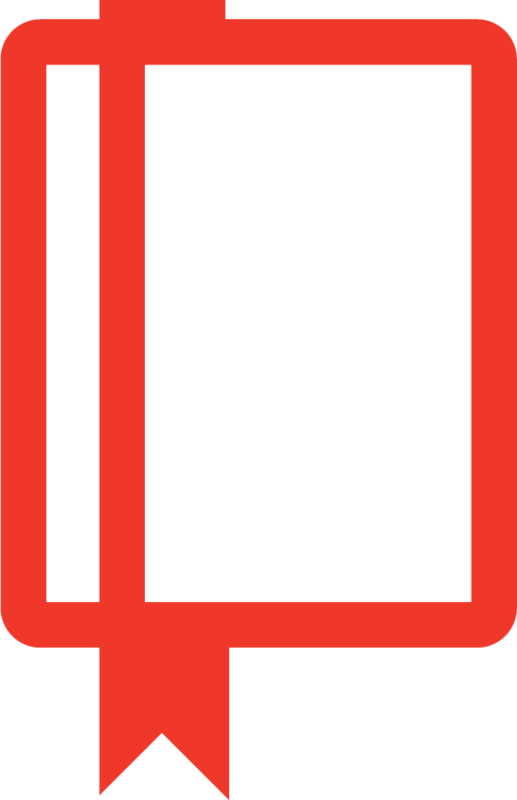 The story does not end there, though, for, as the author points out, what was revealed to him in Endo's work—namely, that God is in the silence." "Fujimura—a renowned visual artist and writer whose paintings hang in top world museums—has illuminated the Gospels to commemorate the 400th anniversary of the King James Bible. He features the ideal of beauty—particularly the beauty born of sacrifice— believing that art 'can heal as well as confound.' With these reflections, he explores the overlap of sacrifice and redemption, those ways faith lives in contemporary circumstances of pain and suffering. His pensive writing invites us to interrogate our own silences in the face of truth. Fujimura's journey is woven with Endo's, who demonstrates 'how powerfully God speaks through silence,' how 'in the mystery of silence and beauty,' God is revealed to 'speak through our broken lives.'" "In the foreword to Silence and Beauty, Philip Yancey writes, 'Only Mako Fujimura could have written this book.' Truly, the book seems written by a Providence that moved Fujimura through Japan and America at significant moments in history and gifted him with particular talents and insight that allowed him to piece together the tragedy of Nagasaki and 9/11 with the fictional apostasy of Endo's Father Rodrigues and the persecution of a 16th-century tea master. 'My writing seems refractive in nature,' Fujimura writes at the start of his book, preparing us for the book's layers of narrative, research, and reflection that remind us of his nihonga paintings. Because of its entangling of multiple pieces—literary and art criticism, sociological and psychological explorations of Japanese culture, and personal narrative—Fujimura's book is best read both forwards and backwards. It should not be read once and put back on the shelf; rather, it should be drunk like a tonic, like the antidote or innoculative drug that he claims Endo's Silence itself is for our culture." "It is the details that make the text an experience of beauty. They will also make Endo's Silence all the more wondrous." "'Silence and Beauty' deserves to be read more than once." "Internationally renowned visual artist Makoto Fujimura reveals how faith is lived amid trauma—and how God is found in the midst of suffering and hostility. From his experience as an academic, an artist and a Japanese-American Christian, Fujimura takes us with him on his pilgrimage of grappling with the nature of art, the significance of pain and his own cultural heritage. Revealing layers of meaning in an array of sources—a classic novel, theology and the fine arts—Fujimura ultimately brings us to a new encounter with Christ. Beautifully crafted with evidence of careful thought at every turn." 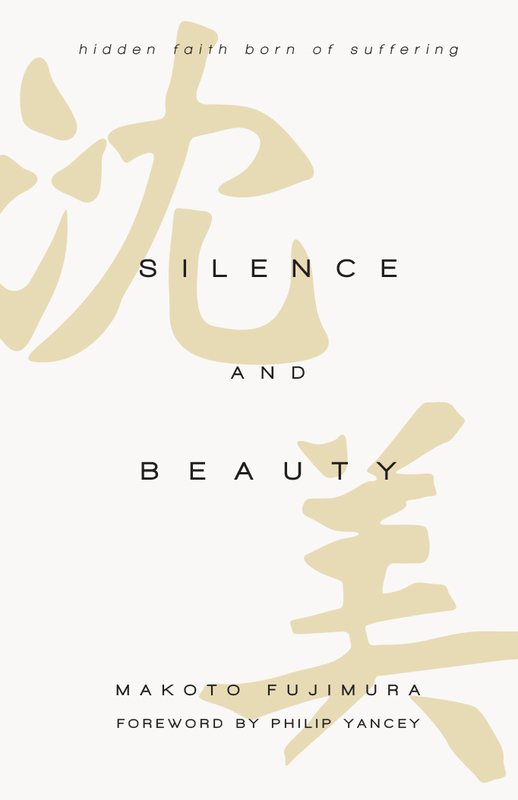 "Silence and Beauty is a quiet, beautiful book about Fujimura's simultaneous conversion and discovery of his roots. 'Mine is a story,' he writes, 'of my own discovery of faith in an unexpected setting—Japanese culture, a soil inhospitable to Christianity.' It also addresses different notions of beauty here and in Japan, and religious faith in the presence of suffering." "This graceful, expressive memoir reveals how Fujimura—an internationally renowned artist—ponders his own aesthetic and spiritual pilgrimage through the lens of Endo's modern spiritual classic. The result involves nine chapters that are as moving as they are many-sided. . . . This book is highly recommended, particularly for those students in advanced literature and religion classes as well as Christian seminary courses in pastoral care and post-Western missiology." "Silence and Beauty not only explores the gospel message through the oft-neglected lens of philosophy and aesthetics, it boldly traverses the topic of personal spiritual failure to magnify God's work of redemption. Fujimura's contemplative literary style and distinct perspective is sure to leave the reader digesting the truths and ideas expressed in Silence and Beauty long after finishing the book." "Silence and Beauty is part memoir, part cultural treatise, and part expedition into Japan's 16th-century hidden Christians—the subject of the Shusaku novel, which Fujimura summarizes in an appendix. He has much to offer 21st-century Christians who ponder how faith can express itself in a hostile culture." "Silence and Beauty is an illuminating, unique composition crafted from the finest materials in the hands of a master." "Fujimura's work narrates a vision for cultural life that is expansive, inclusive, and truly beautiful. One does not have to be a Christian in the traditional sense of the word to contribute to culture in ways that are life-giving, redeeming, and beauty-filled. Indeed, Fujimura's work suggests that perhaps the truest articulations of Christianity are found in what is most hidden, ambiguous, and silent. Silence, for Endo and Fujimura, does not equate to abandonment, but rather ushers us into a new world charged with the glory and beauty of God." "Part theology/philosophy, part literary criticism, and part personal memoir, Fujimura's Silence and Beauty is a fascinating read, providing 'flesh and bone' to concepts that might otherwise be highly intellectual and abstract—such as the problem of evil and the freedom of the will. His work is particularly refreshing because of the high value that Fujimura places on art in the life of a believer." Appendix 2: Kenzaburo Oe?s "Human Lamb"
★ Silence and Beauty has received a starred review in the highly-respected book industry magazine Publishers Weekly. Read the full starred review here. 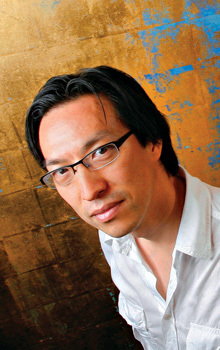 Makoto Fujimura is an internationally renowned artist, writer, and speaker who serves as the director of Fuller Theological Seminary's Brehm Center for Worship, Theology, and the Arts. He is also the founder of the International Arts Movement and served as a presidential appointee to the National Council on the Arts from 2003 to 2009. His books include Refractions: A Journey of Faith, Art and Culture and Silence and Beauty. Recognized worldwide as a cultural shaper, Fujimura's work has been exhibited at galleries including Dillon Gallery in New York, Sato Museum in Tokyo, The Contemporary Museum of Tokyo, Tokyo National University of Fine Arts Museum, Bentley Gallery in Arizona, Taikoo Place in Hong Kong, and Vienna's Belvedere Museum. In 2011 the Fujimura Institute was established and launched the Qu4rtets, a collaboration between Fujimura, painter Bruce Herman, Duke theologian/pianist Jeremy Begbie, and Yale composer Christopher Theofanidis, based on T. S. Eliot's Four Quartets. 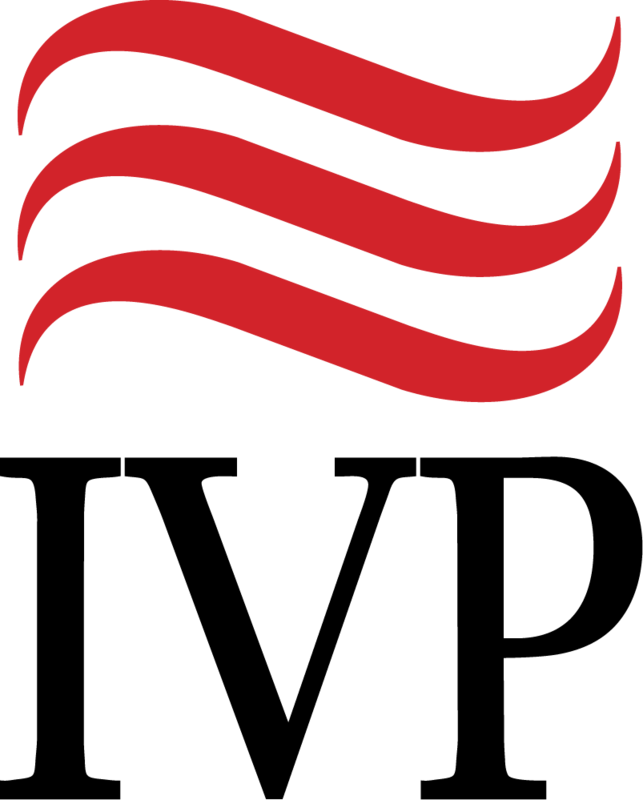 A popular speaker, Fujimura has lectured at numerous conferences, universities and museums, including the Aspen Institute, Yale and Princeton Universities, Sato Museum, and the Phoenix Art Museum. Among many awards and recognitions, Bucknell University honored him with the Outstanding Alumni Award in 2012, and the American Academy of Religion named him as its 2014 Religion and the Arts award recipient. He has received honorary doctorates from Belhaven University, Biola University, Cairn University, and Roanoke College.